There is a lot of hype around the IoT. But before exploring potential applications for your business, it’s important to understand the meaning of the term. According to Forbes Magazine, the “Internet of Things” (IoT) is set to become one of the fastest-growing areas in the technology sector. The rise of smart technologies, networked devices, and cloud computation are revolutionizing consumer products and business operations alike. As with any new market, there’s also a lot of hype to sift through to get to the meat of all this development. It’s a good idea to know exactly what the experts and opinion-makers are talking about when they refer to the “Internet of Things” and how it could impact your business operation. Simply put, IoT can be defined as ways in which “dumb” (i.e., analog, traditionally disconnected) “things” get plugged into dedicated computational networks where shared cloud processing and data analytics can provide real intelligence about their operations and the processes they take part in. This differentiates IoT as a concept and organizational paradigm from, say, traditionally networked smart devices like a phone or computer. Smartphones and computers are obviously a big part of the field of IoT. But when people talk about IoT, what they typically mean is taking products that aren’t networked and connecting them to a network through sensors and wireless data collection tools. Therefore the Internet of Things is not just about having people connected on the Internet. It’s about mapping complex processes through data collection tools that can transmit information over a network, and back to a centralized location. Remote, Real-Time Data Collection: IoT networks depend on reliable data collecting technologies, like wireless sensors, embedded in the operations of the things they monitor. That includes information about operating conditions, feedback from the environment, or whatever else is relevant to the process being observed. Sophisticated sensors can actually grab a great deal of data regarding the performance and state of a monitored item, providing valuable data second-by-second. Cloud Computation: Data doesn’t actually help anyone if it isn’t the right data, and it isn’t presented in meaningful ways for those collecting it. This means that IoT networks rely heavily on distributed cloud services to interpret data and provide analysis and intelligence. Integrated Platforms: Software, hardware, and communication technologies must all work together seamlessly so that real-time intelligence can reach its destination—whether that is a cloud server, a technician, or a decision maker at the home office. This intelligence needs to be relevant and actionable to users in your organization. 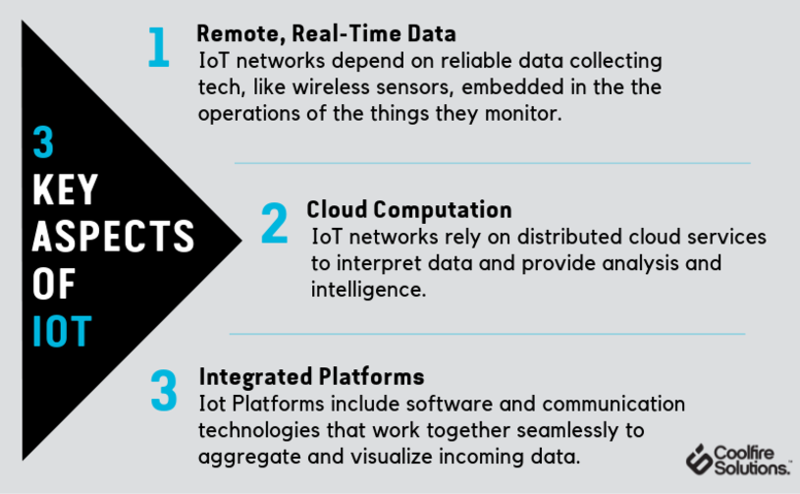 With that in mind, IoT platforms include specialized software to aggregate and visualize incoming data to help you make better decisions with it. First and foremost, the Internet of Things is about data collection. More significantly, with the rise of advanced wireless sensors and networking tools, it’s become that much easier to collect real-time data right from the middle of any complex industrial or logistical operation. But it isn’t just about grabbing data: it’s about grabbing a lot of data, and grabbing it in real-time. Devices plugged into the Internet of Things are constantly speaking with other technologies on a given network, feeding data about operating conditions, state of current operations, environmental conditions… or literally anything important to the operation of that thing. And, as it is quickly becoming the case, many data-collecting technologies also carry some computational capacity that provides data analysis right at the point of collection also known as the edge of the network. Once data about a thing is transmitted from a sensor or controller, it travels through local or wide area networks, wireless transmissions, or anything designated as a route of transmission, back to a central point for processing and storage. Typically, these are central cloud computing networks: systems using distributed computation to process, analyze, and present data. More and more, the work of computation is being pushed further and further away from centralized clouds closer to the items themselves. A “platform” is what ties everything together. In broad terms, platforms are probably the most important part of any IoT setup. 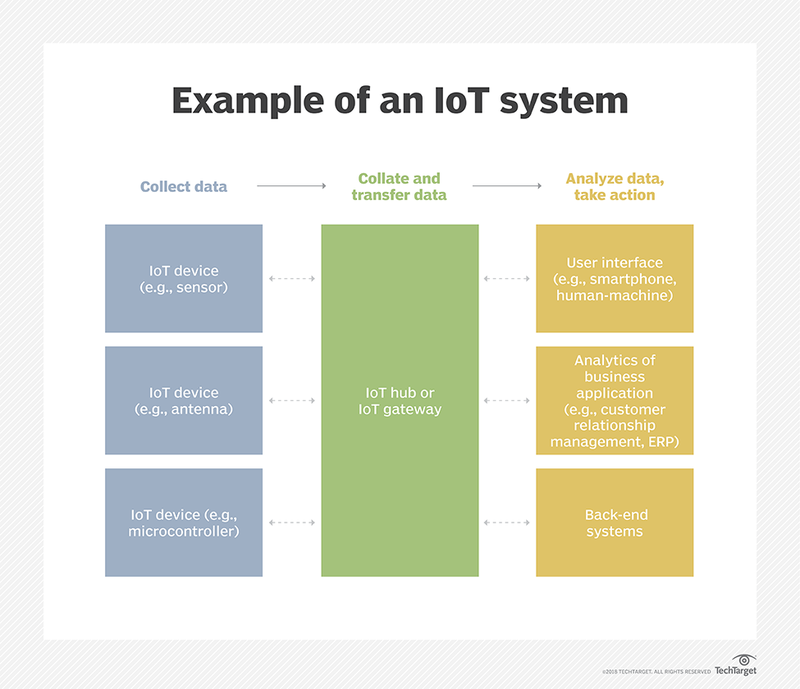 A true IoT system needs the hardware to measure data, the software and communications to ensure transmission and processing, and interfaces to provide actionable intelligence from that data. Moreso, that actionable intelligence needs to be available to people out in the field just as it is to those in a central office. That means apps, remote cloud services, and smart devices to keep everyone and everything plugged in. Most of all, appropriate platforms will pull and process data that is relevant and actionable for your operation. There’s an important distinction to make between the consumer world of IoT versus business and industrial contexts. Unlike consumer-end services, business applications of IoT systems are going to work towards maximizing efficiency and reducing total costs of operations. Businesses that rely on a fleet of cars or trucks can use an IoT system to integrate geospatial information (GIS mapping), traffic and weather updates, vehicle telematics, and inventory systems. 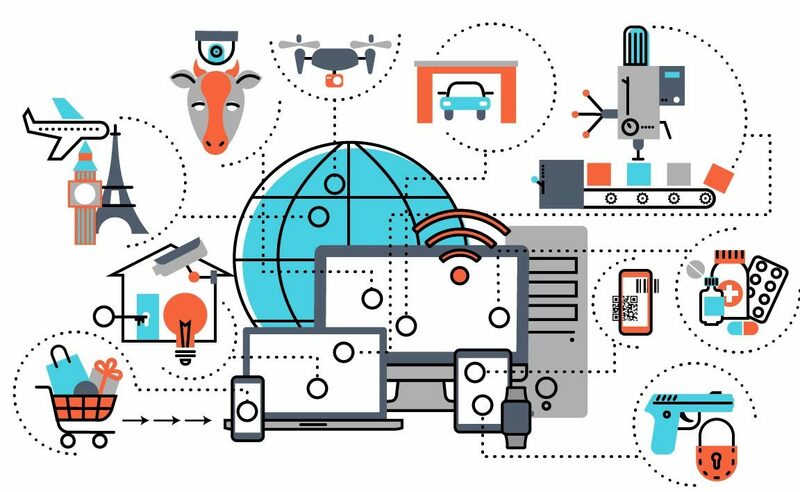 Industrial operations relying on process optimization for manufacturing purposes use IoT systems to develop more efficient supply chains reducing maintenance overhead from their machines. 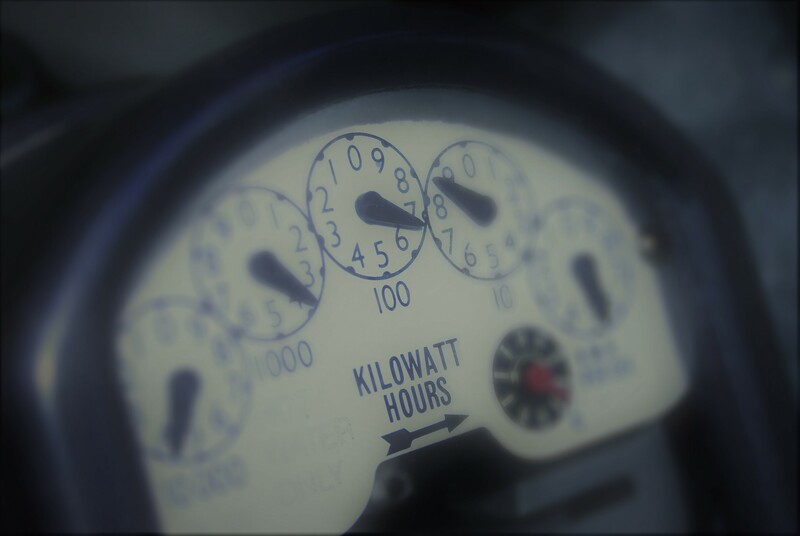 Utility companies leverage wireless technology to remotely gather readings from smart meters, funneling the data into smart billing systems that provide accurate billing for customers while giving field technicians the right tools to deploy energy-saving measures and tech where it is needed. 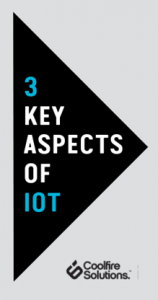 Following this broad overview, we can see where IoT connects with different technologies in wireless communication, networking, cloud computing, and many more. We’ll use that understanding of IoT as a jumping-off point to discuss different topics that will help you better conceive, design, and implement your own IoT solution.